Glen Dhu CHildren's Services are participating in The Department of Health and Human Services - "Move Well Eat Well" Program. 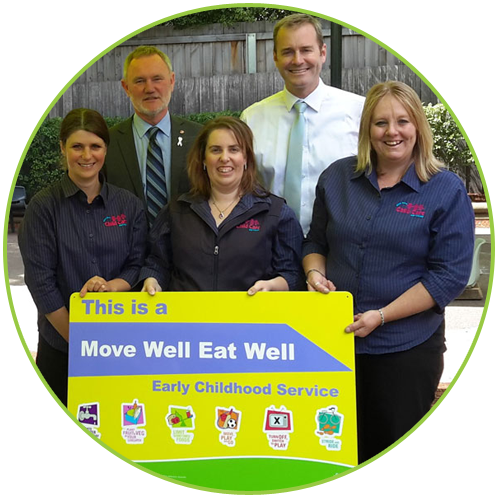 Move Well Eat Well promotes a healthier Tasmania in which children can enjoy healthy eating and physical activity every day. Our service is an accredited Asthma Active & Anaphylaxis Active Centre.